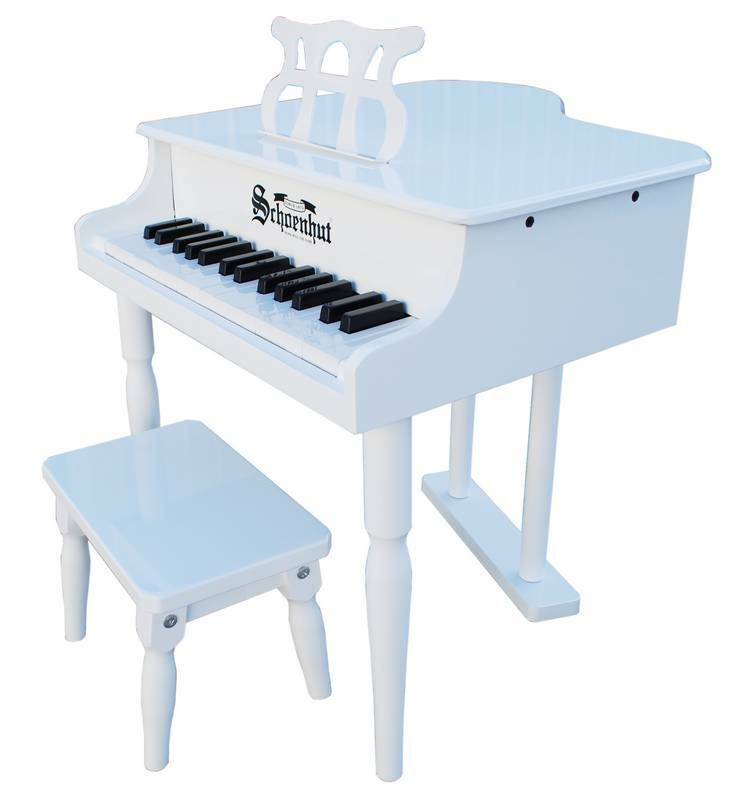 Child Toy Piano- The Classic Baby Grand piano by Schoenhut is the Winner of the Parent's Guide to Children's Media Award for 1999. 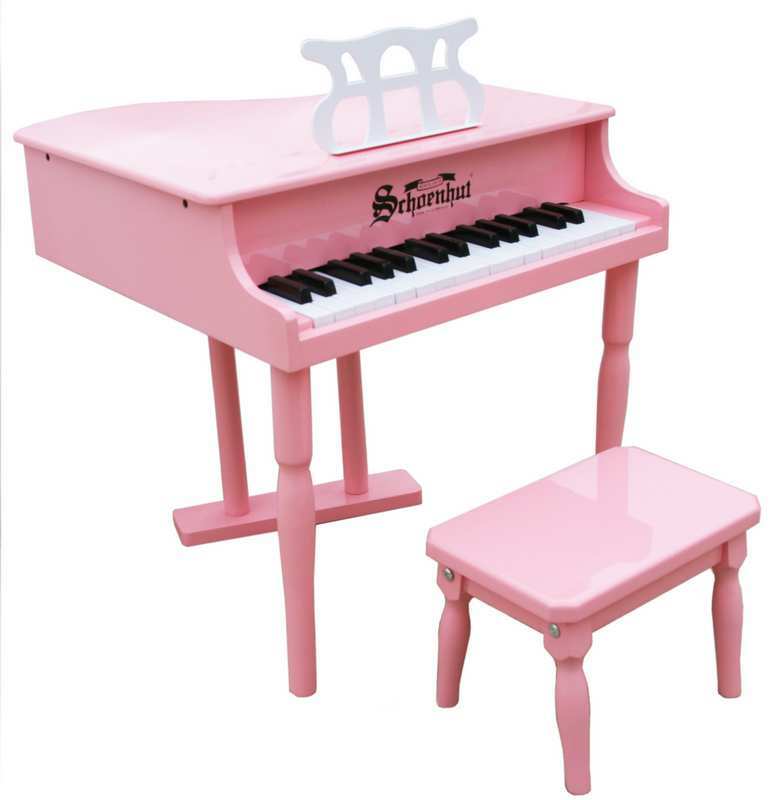 How many children have their "very own" Baby Grand Piano? Encourage your child to be creative at the piano and he will be composing and playing ballads just like Schroeder in the comic strip "Peanuts". 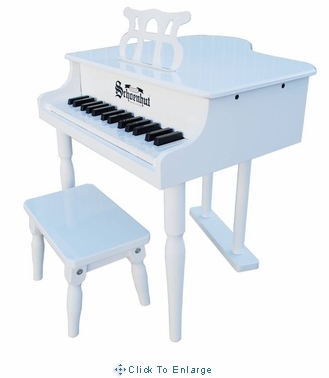 This unique miniature version is designed to encourage the very young child to play and develop a love of music. Chromatically tuned with a full two-octave span, small hammers strike metal rods, producing lovely chime-like tones. The piano never gets out of tune and the tone never changes. 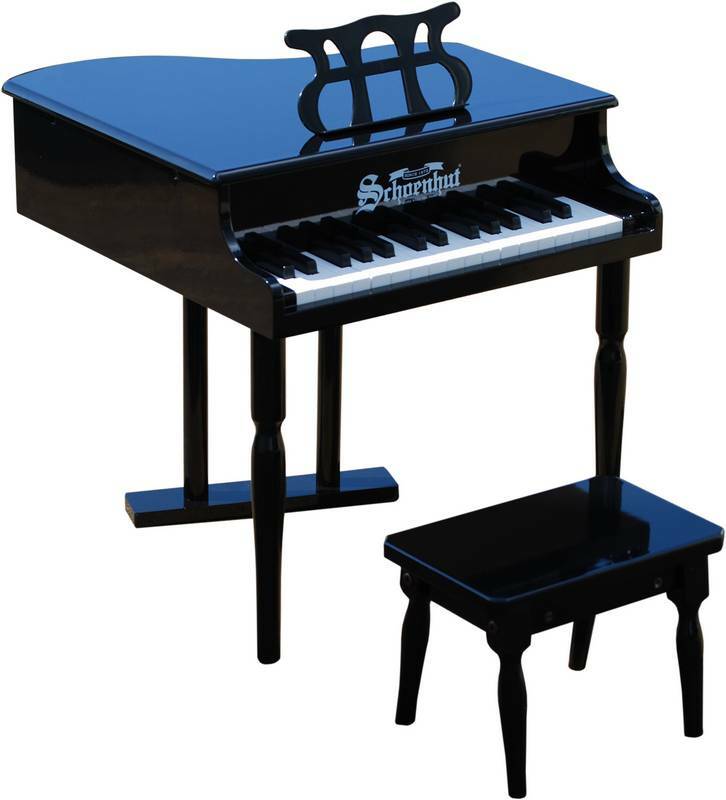 Piano Dimension: 19-1/4" high x 19-7/8" wide x 20-1/2". Matching bench: 9-1/4" high x 11-7/8" wide x 5-3/4" deep.